Darth Vader was the strong favorite in the Origami Who poll, beating Han & Chewie, Admiral Ackbar and a Clone Trooper by thousands of votes! So I’m very glad to say the majority was right! Darth will be coming to McQuarrie Middle School along with Dwight, Tommy, Kellen, Sara, Rhondella and just about everybody else from the first book including Origami Yoda. Want to guess who brings him to school? Dwight? No way! Tommy? Nope. Harvey? No comment! 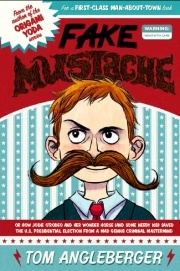 The book comes out next FALL. 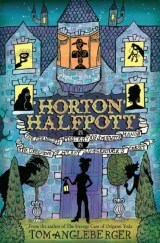 In the meantime, I hope you’ll enjoy Horton Halfpott (Spring 2011) and, of course, The Strange Case of Origami Yoda. Now… let’s get down to business… Folding instructions and contest details! Darth Paper wants to take over the world!!!! And I’m asking you super-folders to help him do it!! 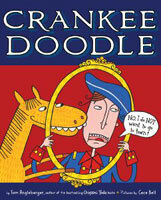 One grand prize will also win an original illustration from the book! I’m going to post the pictures on some sort of big photo map and we’ll see if Darth can really take over the whole planet! Enter as often as you want No purchase necessary … but you will need to fold a Darth Paper! Darth Vader and Yoda are registered trademark of Lucasfilm Ltd. Title and character and place names protected by all applicable trademark laws. All rights reserved. this is so awesome ! I going to try to win! I already sent in a darth paper. origami yoda two is gonna be great tom can you say at least 4 things that will happen in book 2? Tater Tot is going to be a big problem! this we are going to rock this book back and forth back and forth. its going to be awsome. im going to sleep with it night and day its going to be better than the first book i rocked back and forth back and forth and slept with thats how awsome it is. so lets get ready for this unbeileveble boook great wishes to the next book that come out. I can’t say. Plus, I won’t be the only judge…. will there be a 3rd book? 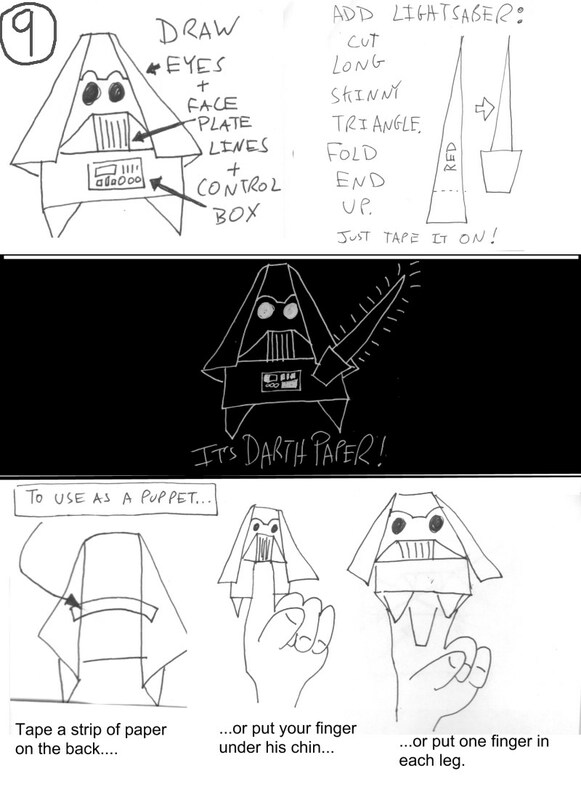 will there ever be instructions for the cover darth paper? The instructions that are already on the site are for Cover Darth or at least something very close to Cover Darth…. 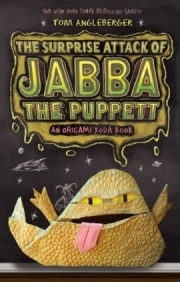 I would love to know exactly how to make snot trooper or if there’s going to be a fourth book and if there is what’s the next origami? I vote jabba! I love the books by the way! I know how to make the cover Darth Paper! Do you have to fold the one that the instructions tell you too, or can you do a different one? Fold any kind you want! HOLY JABBA THE HUT! I would have never thought there was going to be a sequel!!! I’ve got to win this contest! I will have the book before all of you suckers! And Tom, will book 2 be a case file like book one was? Can you make it bigger and easier to read? MWA HA HA HA HA HA HA HA HA HA HA HA!!! I am working on my contest pic. right now! Then I will send it in a thousand times over and I will win! MWA HA HA HA HA HA HA!!!!!! The contest is already over, u do realize that, right? Yeah, same thing happened to me last year. I’d mak something like a crane or yoda(I can make other things too, but I don’t want to list them though. )and my teacher would walk over and crumple it up, and SHOCKER! throws it n the trash. So I ended up going through about a pack of paper a month. Iyve gots a idea!!! Lets start a war with the teecherz!!!!! YEE-AAAAAAAY!!!!!!!!!!! 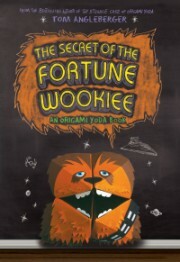 Dude it took me a month to make The Fortune Wookiee!I was very confused by the instructions in the book and i almost gave up!I tried everyday yo make him!If someone took him i would be so mad,and I have anger issues and know Tae Kwon Doe so i would end up punching another hole in my wall!!!!!!!!! Wars do make one great!!!!!! 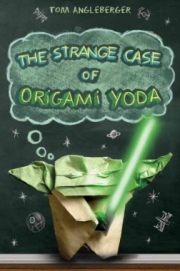 Hey tom I have read the strange case of origami yoda and made an origami yoda and I have been waiting SOOOOO long to read darth paper!!!! My friend kate has it and so does my other friend reagan has it and kate said ok for me to read it but she has to wait for tauri to read it and then she has to read it to her little brother. What a pain!! I am going to win that contest!! i already read it go, Dwight! The dark side you must not go. i already got the book.when was the contest over? 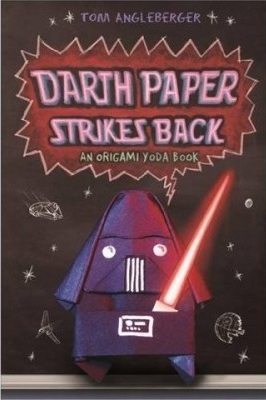 Darth paper vs Yoda = awesome books!!!!!!!!!!!!!!!!!! 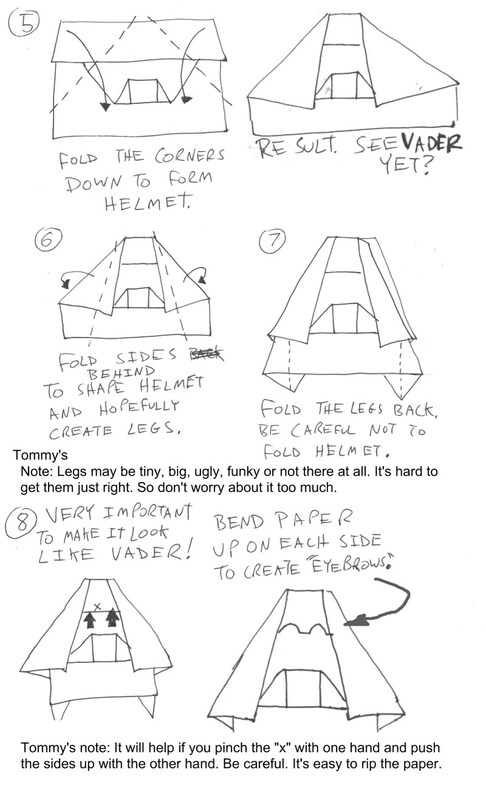 I even made a origami Anakin Skywalker based off of this darth paper instructions. That contest is over, sorry! Well, I hope your Ma likes it, too! the book was in my book order and my book fair can you guys belive that?!?! moo ha ha ha ha ha ha ha ha ha. dear tom angleberger my name is kaden i relley what to met you texed back please!!!!!!!!!!!!!!!!!!!!!!!!!!!!!!!!!!!! HEY TOM ANGLEBERGER!GUESS WHAT?!?!?!? !I FOUND A WAY TO CREATE MY OWN ORIGAMI R2-D2!I HAVE ALL YOUR BOOKS AND THEY ARE AWSOME!oh wait,sorry.im just going to crazy.sorry i went to crazy:(. but can you just tell me where tosend my instrutions? 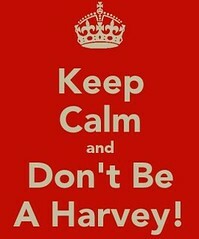 Harvey can you please shut up?!?!?!?! Hi Tom I made the cover darth paper and I sent you some pictures of it, if you didnt get them, write back. Go Yoda even though my name is Darth Paper.Awesome Book!!!!!!!! 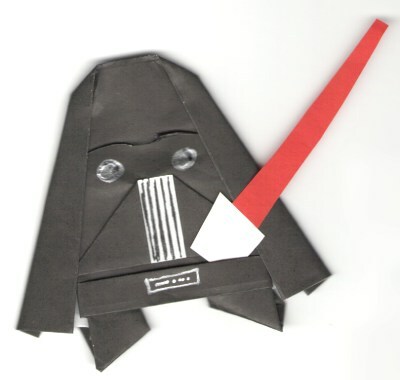 JUST MADE A DARTH PAPER! origami yoda VS darth paper! what about the pocket to hold the light saber in? i looked up death star and this came up! Dude! Send in some pictures of those origami dudes! 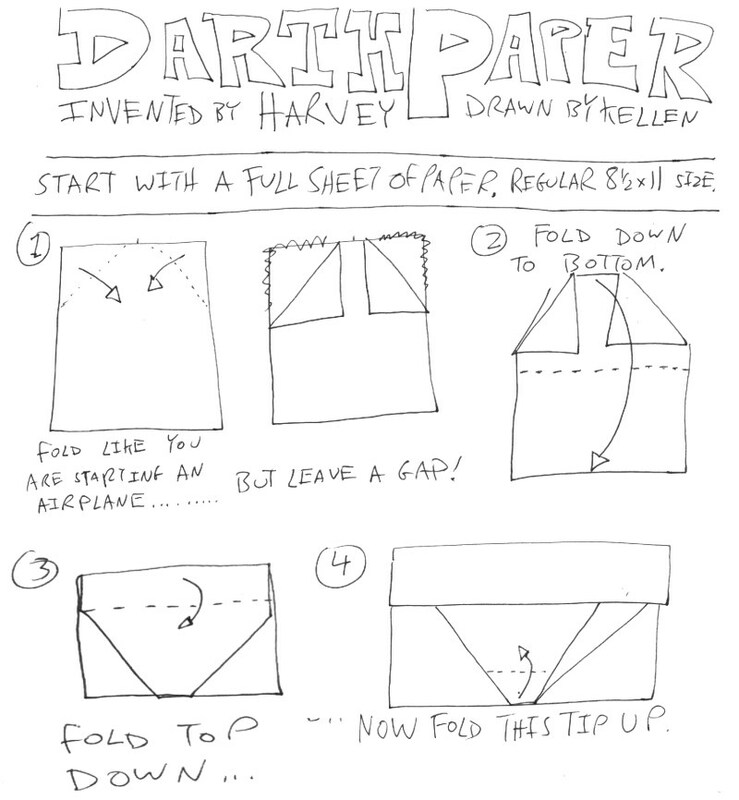 how do u actually make the darth paper from the cover? why is everyone folding me???????? I know how to make a snot trooper ! Tom,what is the 3rd book gonna be? Hey Tom, I have never seen you do a book signing in Missouri, have you? plus, my library doesn’t have the third book. darth paper: finaly somthing that is (wheeze) REALLY good!!!!! Hey guys, if you want to make one almost EXACTLY like the cover, make a pleat on the bottom of the paper before beginning, use a 4 1/4 x 11 piece of paer, and use a silver marker instead of a white one. Cool! I wanted to make him! lol tom well i hope your ma likes it to so funny! Awesome! I’ll see you soon! hey tom could you teach me how to fold the real origami yoda? you know like the one on the cover? What company do you get your paper from Tom? Knock knock . Who’s there. THE DOOR! THIS DARTH PAPER IS COOL!!!! Man im in the 5th grade and my teacher took Chewie and Yoda!!!!!! I MISS THEM SO MUCH!!!! I think i gotta buy them with fake money ……im so mad…..hey tom im a big fan but i just need darth paper book!!! i became ur fan when i found the yoda book at a thrift store! lol. 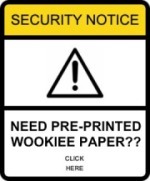 i got the yoda,chewie, and im ordering the art2 d2 book today at school…..any chance i can buy the original Yoda or Chewie or Darth Paper ????? Dude really?It took him a long time to make those and you think you can just buy them from him?Seriously look it up on YouTube! think you can do that. origami yoda is not a paperwad!!!!!!!!!!!!! where is the part where you put the lightsaber? I can’t put darth paper on my finger.How do you do it? hey tom love the books you wrote. nice work.-Levi S. Carmack.